Where’s the “better drink my own piss comment”? Bear does these things because he’s simply demonstrating survival techniques. 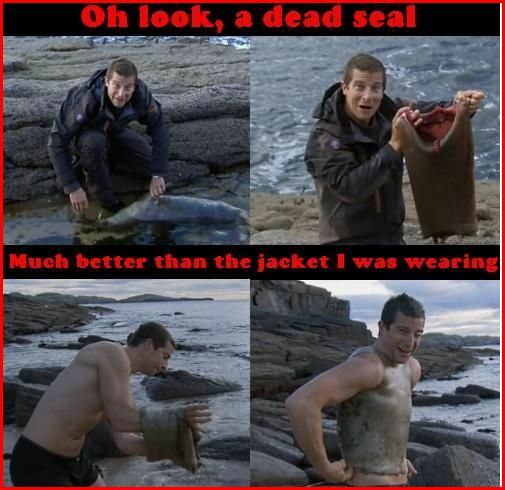 It’s true: you never know when you’re going to get caught shirtless someplace in the arctic with access to seals. The polar bears will never know the difference.